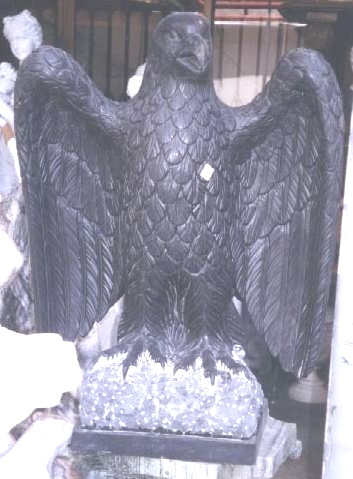 Description: TSAL107 - Awesome Eagle Garden Statues - Among the many marble eagle statues available, Awesome Eagle is one of the best marble statues usa. Being one of the best marble statues, says something about this marble arte. If you want unique garden statues choose from this mix of outdoor sculpture for sale, where even as cheap garden statues, they never cease to dwindle in its artistic marble carvings. So buy one of these marble statues antique as a sculpture for home today.